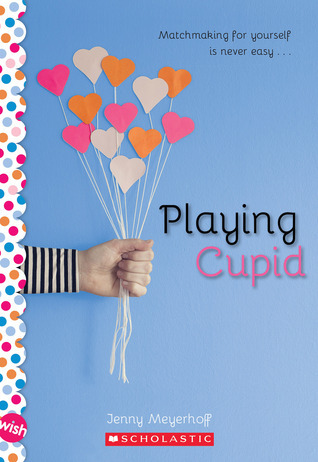 Clara Martinez has a knack for gauging people's interests and fixing them up with each other, which she and a friend occasionally do at the mall. When she has to come up with a business idea for a school project, she decides to run a matching service for students at her school so that everyone can have someone with whom to dance at the Hot Chocolate Social. There are a lot of other things going on in Clara's life-- her mother left "to find herself" when Clara was young, but Clara's father is concerned that he isn't the best one to raise her. Her friendship with Alivia is fraught with difficult social situations, made more difficult by the fact that Clara only had one friend at her previous school. She has a secret admirer, but doesn't know his identity. Her friend Emily is in danger of being marginalized out of the group. Add to that her struggles in school, and a lot is riding on the success of her business project! Strengths: This reminded me, in the best possible way, of the Betty Miles' books I read as a tween. Realistic problems, friend drama, school setting-- very fun. I have a lot of readers this year who like light romantic fiction, and this is perfect for those readers. Weaknesses: This is listed as a Wish Novel, but the others are written by Suzanne Nelson. I wish that Scholastic would publish hard cover versions of these, but I guess I'll have to stick with the prebinds. By the time the pages turn yellow and start to smell, the fashions and technology are probably outdated. What I really think: Purchasing all the Scholastic books like this I can find, especially You're Bacon Me Crazy, since it involves food trucks! When school inspectors come to the Browns' door and claim that it is necessary for Paddington to report to school, everyone is a bit surprised. At first, it sounds like a good idea, since they take rolls (role), but after his teacher, Mr. Eustace, confiscates all of his marmalade sandwiches, Paddington has his doubts. Sensing that the bear will be trouble, Mr. Eustace sends him out to get the fish for science class, and the bear of course comes back with fish fingers instead of something that can be dissected. In the end, the school feels that Paddington can wait out a bit longer, perhaps until he finds a uniform. Other stories within this volume include a venture selling vacuum cleaners door-to-door, visiting the Royal Courts of Justice, a birthday treat, and an attempt at physical fitness. These are all episodic, and Paddington remains his cheerful, somewhat dense self throughout each story. He is, of course, extremely well meaning, and most of the people with whom he comes in contact are glad to help him out, even if they are a little confused by him. This book is a bit unusual because the Brown children must be off at school, and Paddington interacts mainly with adults in his neighborhood, especially his friend Mr. Gruber. 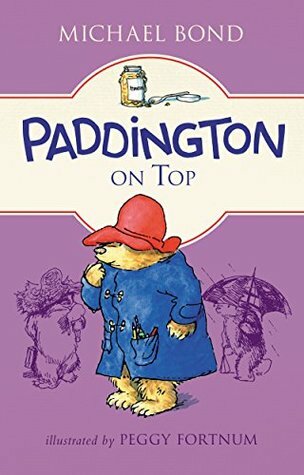 The first book in this series of twelve, A Bear Called Paddington, came out in 1958, and Paddington on Top was originally published in 1974. There is definitely an old-fashioned quality to the narrative as well as the settings. Letting children (or bears!) leave school, people selling things door-to-door, and even small details like Paddington raising his hat in greeting are all occurrences that modern young readers may not understand. For those of us who remember such things, however, this book is a very gentle, comforting read, and the Peggy Fortnum illustrations reinforce that cozy quality. Michael Bond passed away in 2017, but readers who enjoy classics like Sharp's The Rescuers, Streatfield's Shoe books, and the stories of Roald Dahl will enjoy the Amelia Bedelia-like adventures of our favorite bear from Darkest Peru. The popularity of the more recent movies will make this accessible to those who have been introduced to Paddington's world on screen as well. Aurora and Luna are tired of living a quiet existence with their father and mother, the Princess Aurora of Sleeping Beauty fame. Both parents are understandably overly cautious, especially since Aurora was also cursed... but if she pricks her finger, she will be the only one sleeping and wake alone. Luna is the younger sister and is especially displeased with all of the strictures about sharp objects, since she is not affected. Of course, Aurora manages to prick her finger, but the two sisters set off to find a way to reverse the curse. They are aided by a little magic tea that keeps Aurora awake, and a fisherman, Symon, who takes a liking to Aurora. Will they be able to connect with the key figures from their mother's past in order to give Aurora a future? 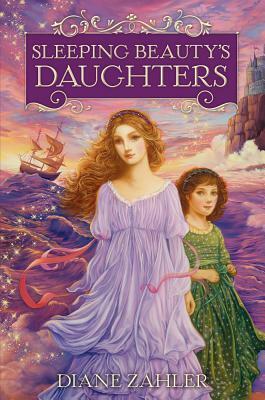 Strengths: Zahler's books are popular with my readers who love fairy tale adaptations, and the covers are so gorgeous. Weaknesses: Had a hard time getting into this one. I didn't like Luna very much. What I really think: I apparently read this a number of years ago, but somehow didn't purchase it. I don't know that I have ever posted a review of the same book twice. Oh, well.